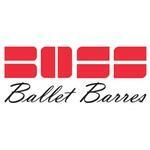 Located in Richmond Hill, ON, Boss Ballet Barres offers the ultimate free-standing portable ballet barres. With several ballet barre types available for beginner dancers to the experienced dancers, Boss Ballet Barres portable ballet barre can help to improve dance skills, learn something new, improve overall health, increase muscle mass, and manage weight. Their portable ballet barres are ideal for at-home studios and dance studios.